To start with, there where three clothing items. 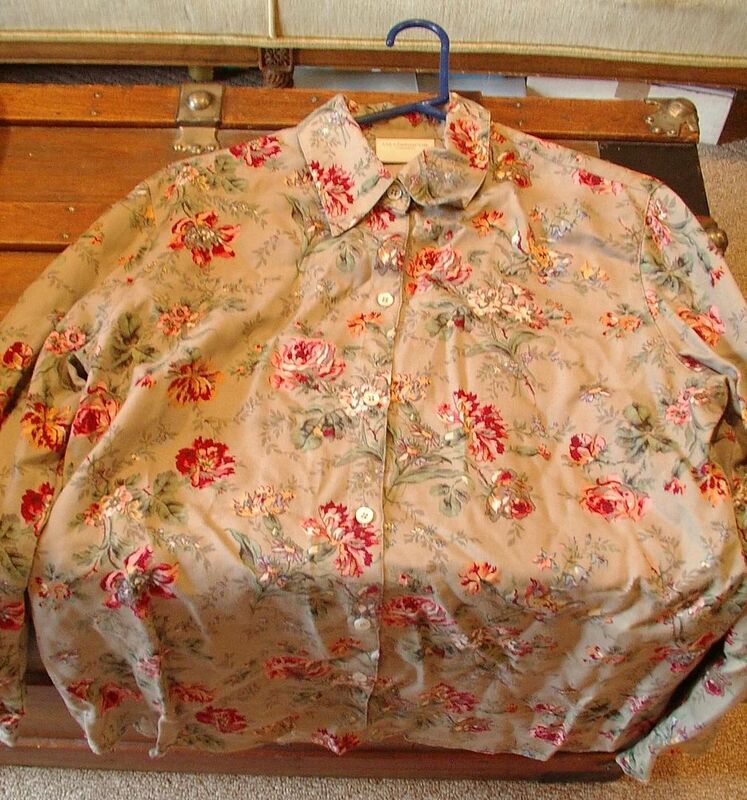 One was a Liz Claiborne rayon shirt; it has a pretty floral print on it. Lucky me, not too pale of a color, either. 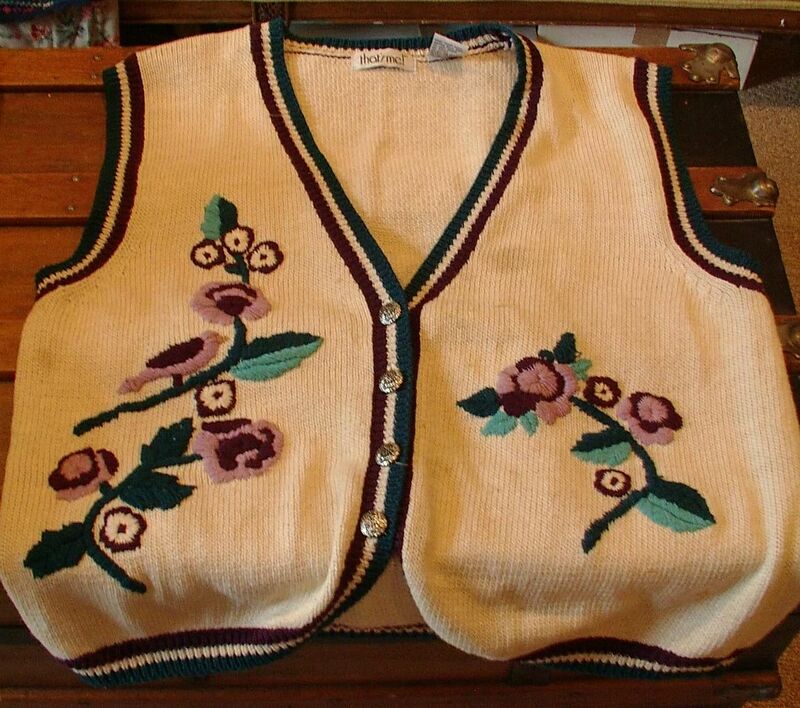 I like wearing embroidered vests in the fall and winter, so she sent me two. 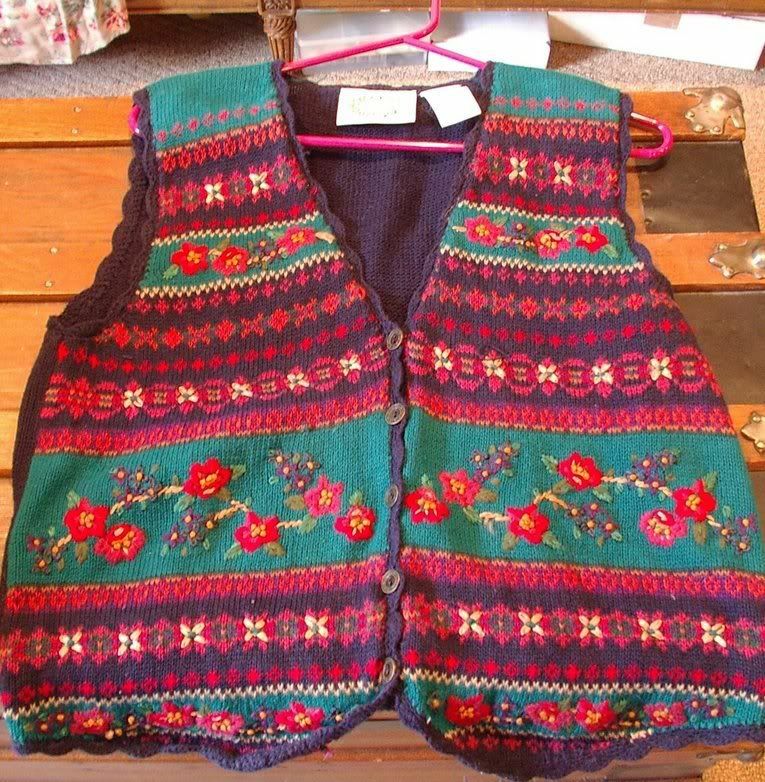 I think the colors on the striped vest are just wild; I should have fun with that one. The cream one is a little plain, but it is a useful item and should go with lots of clothes because it is very simple in color and styling. In other words, good for a tee shirt and jeans. YES!!! This is just a few of the random items in the box. A red bandanna I use these a lot for my hair. Three little bags, 1 red and 2 pink; just useful to put things in. 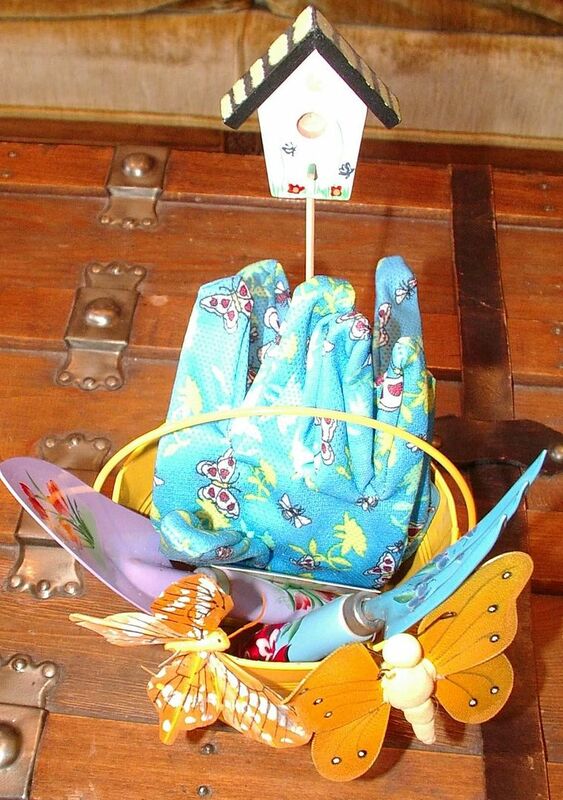 I just love items that hold stuff; aren't containers a handy thing to have around. A strap of frog fabric, sure that will find it's way into a miniature quilt at some point in time. 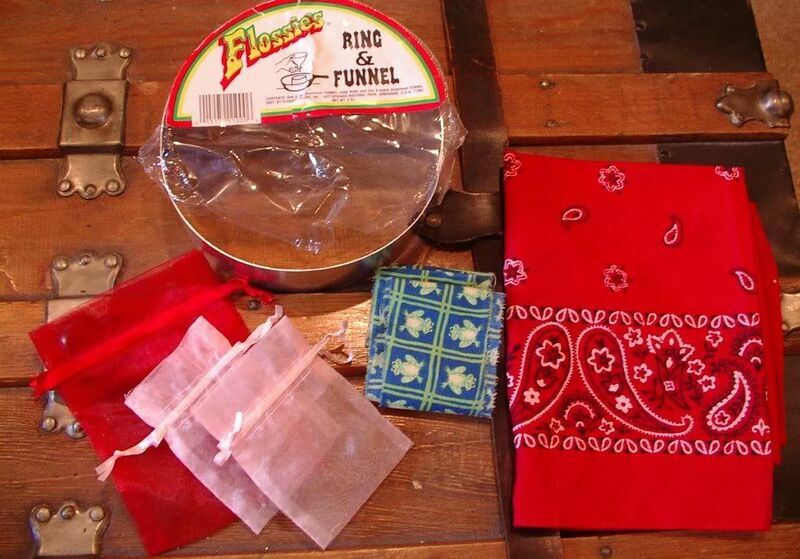 A cooking ring "Flossie's" to make pancakes. I usually use cookie cutters; I have never done one that big, so it should be fun to see how it works out. I always have fun when these packages arrive; the variety of things she sends is just incredible to me. We have fun with this; it happens about 2 to 5 times a year, depending on what she finds. 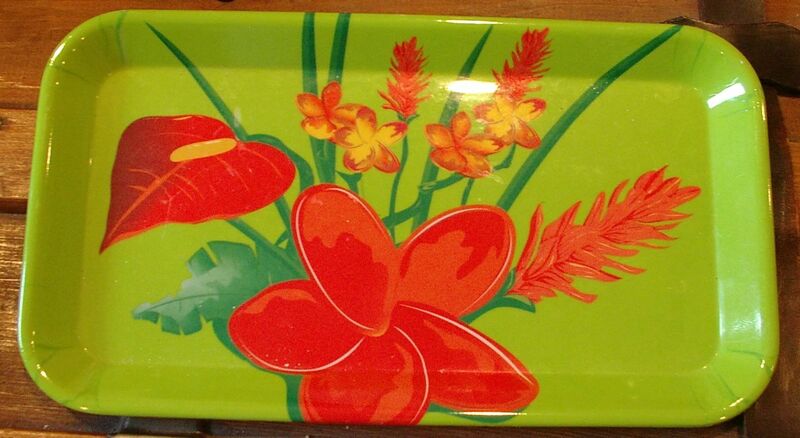 This real brightly colored plastic tray was one of the first things I saw when I opened the box. I think it is just wonderful. My grandmother and I have been florists. She is much better at it; she has a Masters in horticulture and orniculture; she also owned her own flower shop (my cousin now runs it). I was just your typical designer/florist. It paid the bills and put me through collage, so I am definitely not complaining. The reason I love this is anthriums and ginger where some of my Vavo's favorite flowers to arrange. Lots of times she would place an anthriumin in her hair, in a bun, when she was getting dressed up. Lots of memories with this one. Don't you just love the tropical colors; they are just screaming at you! 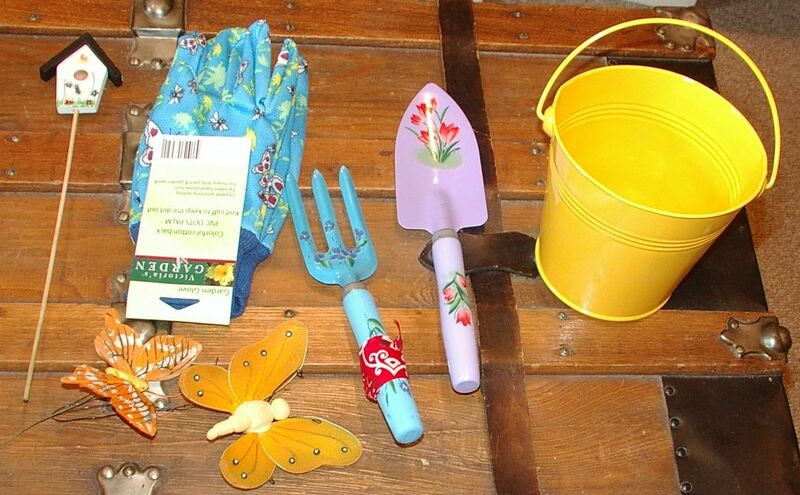 There is this cute little yellow metal bucket with gardening tools in it: a little shovel, and fork, gloves, and two little butterflies, and lastly a little bird house to place in a planted container. Very, very cute! They actually may be a little too cute to want to use them. They all look so darling in their little bucket. 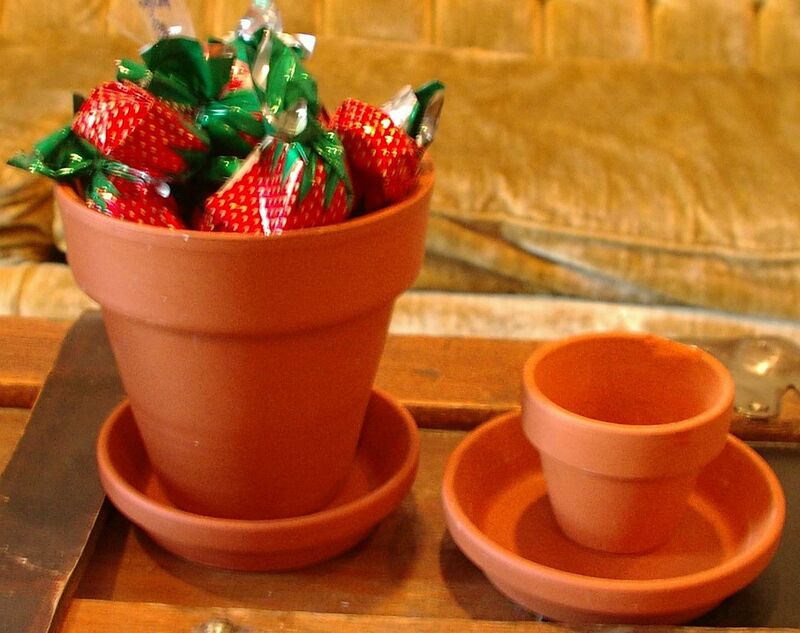 Two little pots to plant in that are full of one of my favorite candies. Don't know the name of the candy, but I have always liked it since I was a little kid. If someone knows please tell me. My kids are going a little crazy because I told then they could not eat this until I was done posting, and it is taking way too long for them. Three children's books. I think I will claim one for me. The tale of Tom Kitten. The kids can have the other two to play with. 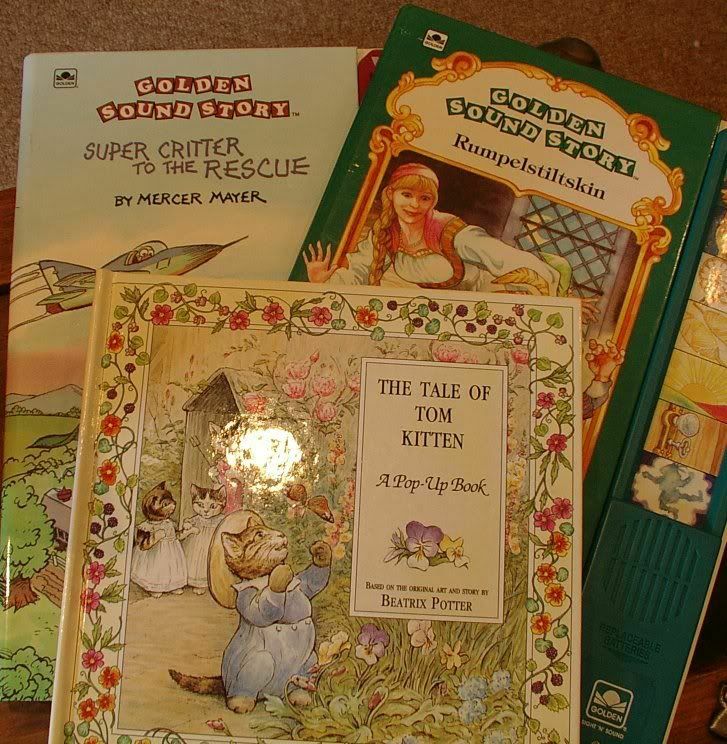 The Tom Kitten one is a pop up book, real cute inside. The others are a Mercer Mayer talking book and a Rumpelstiltskin talking book. Both are real cute; I'm just not in to talking books. The kids like talking books, so they will have hours of fun with them. Usually they actually play with these in their rooms as well so I won't even have to hear it, either . A box from Godiva chocolates; too bad it was empty, but it's a real cute box, all the same, with the daisies on top of it. 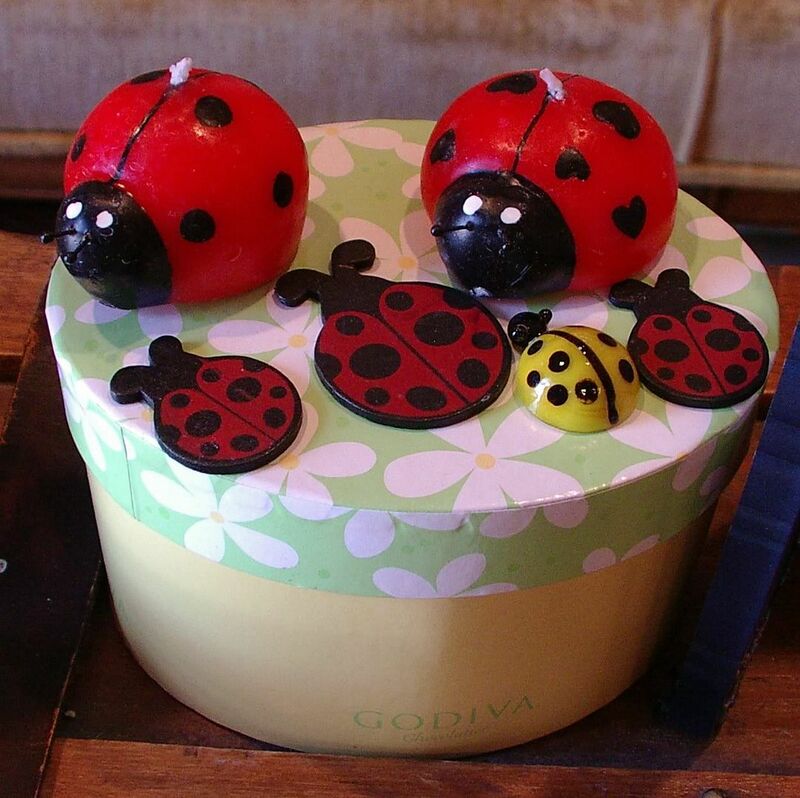 And a collection of little ladybugs. Two candles, 3 wood ones, and 1 glass one. My middle and youngest child share a room and it is decorated with lady bugs, so they are totally excited to see these little friends come to live with us. I get to keep the glass one because I collect glass fruit and candies, and it will go well with them. A box made out of card board. I just love boxes. Look at all the pretty paper used to decorate this one. It has a real cute handle as well and a functioning latch. The paper hinge has a little tear about 1/2 inch that is fixable, and very usable. too. Love it!!!!! 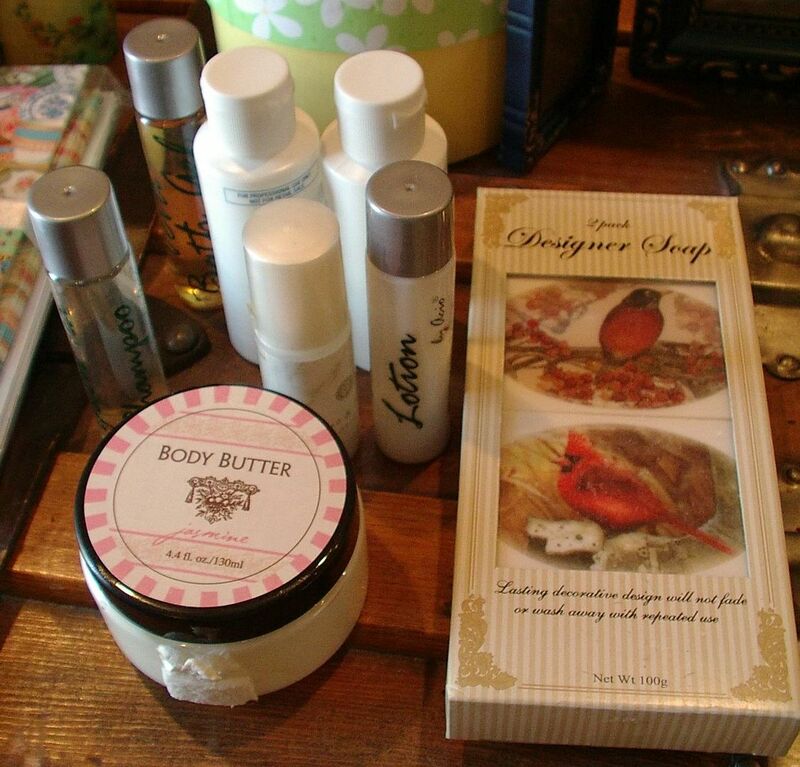 A collection of bath and body items. Lotions (four of them), 1 body wash, 1 shampoo, 1 body shower gel, 1 body butter and a box of designer soaps. These type of things can always be put to good use. This item is a real cute cardboard box with a tassel hanging from the top of the lid. 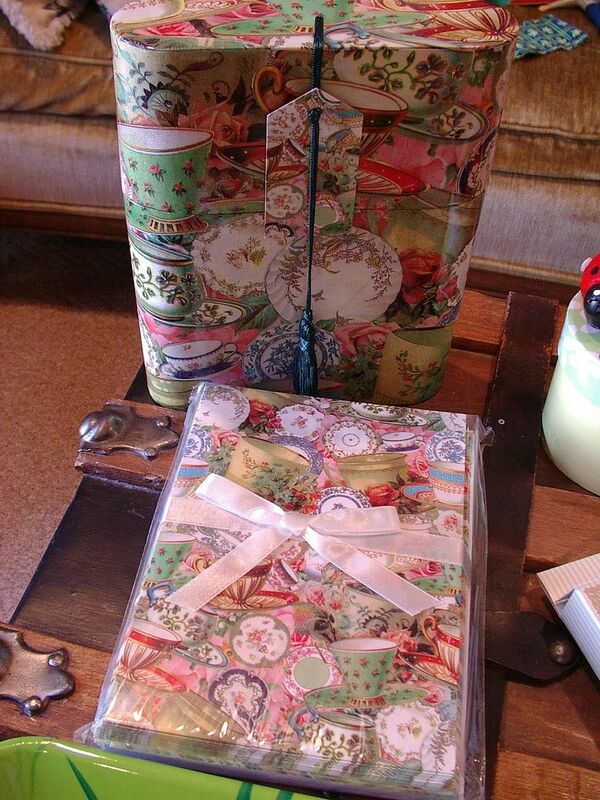 Inside of it was the stationery that you see in front with the bow on it. It has little tea cups all over the stationery and all over the box. I just love boxes, and this is defiantly a keeper. 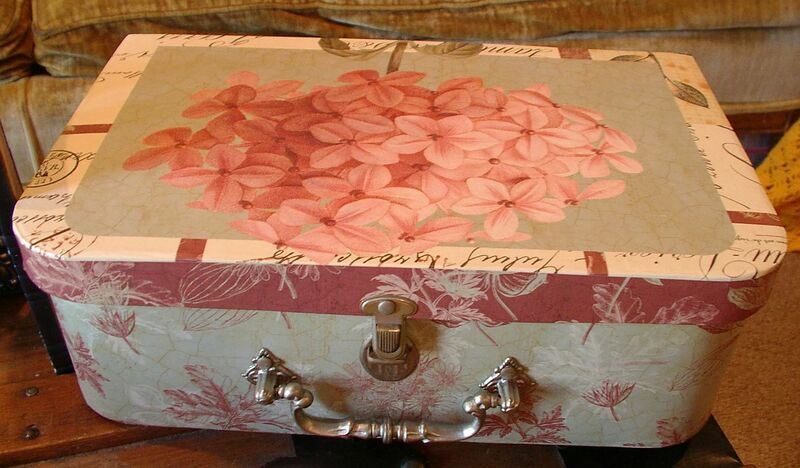 I like to put my sewing or crochet projects in boxes like this and carry them with me to work on. It is a real nice size, not too big or small. The next item is from my mother, and it is the only item in the box from her; everything else is from Vavo. 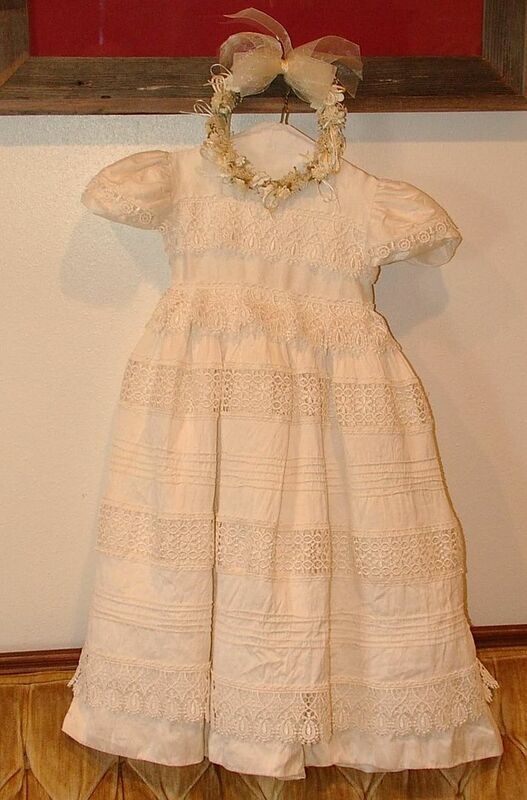 This is a dress that my mother found at a garage sale and thought one of my kids could wear it. Well, it was marked $15.00 she got it for $13.00. Good price; too bad it doesn't fit any of my kids -- they are all too big. Looks like it was a flower girl's dress or something to do with a wedding. 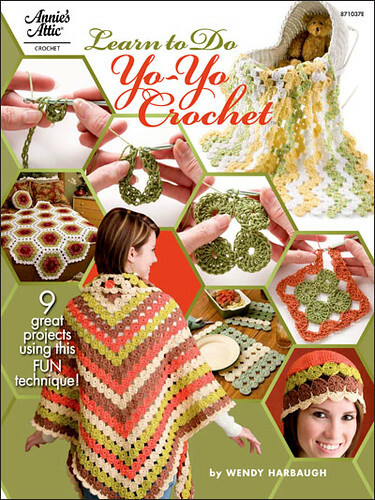 I want to take it apart and make a hostess apron out of it. My husband wants to give it to someone so they can wear it. 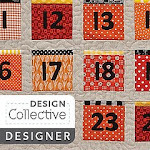 We will have to see who wins out on that one because it would make the most lovely apron. I'd use the top skirt for the apron skirt and use the under skirt to make the bib of the apron. Might be able to make something else out of it as well. I love the halo and will leave that in tact; my kids can still use that part of the outfit. This would be the 10% that might be considered junk to some but not all. The tree my Vavo made so I love it! It is a keeper. 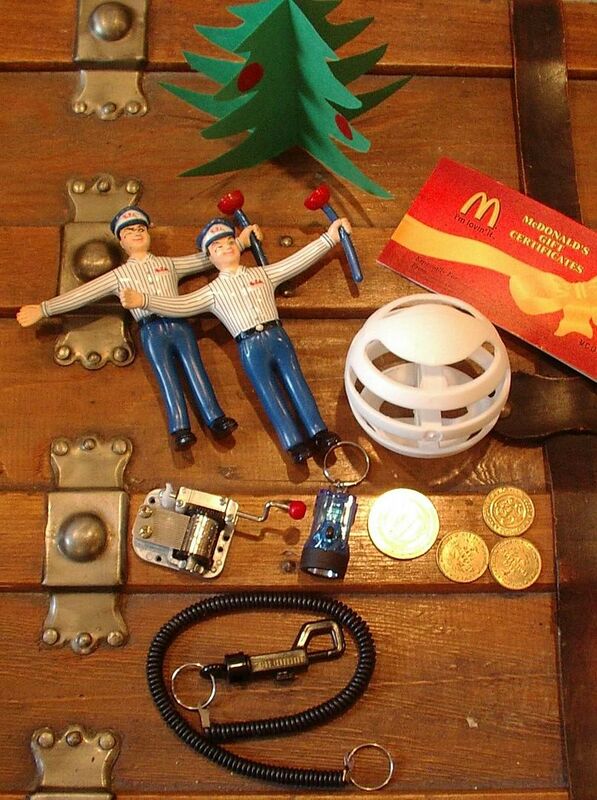 The two Rooto Rooter men my kids will play; with junk to me, fun to them. The McDonald's bucks the kids get to go to lunch one day, so that is good, too. Not sure what type of ball this is, but I am sure the kids will have fun with it. The music box sort of works; I might be able to fix it and do something with it. The little blue thing is actually a mini flash light; the girls will use it with their dolls. Four tokens for arcade games the kids can use as play money. The Key chain and cord with it, well those type of things always become useful at some point in time, and that is everything in the box. You decide -- junk or treasure. WOW, I want her to be my Grandma! What a fun box of stuff, how big was this little box? What a nice thing to come home to on a bad day. This is wonderful! 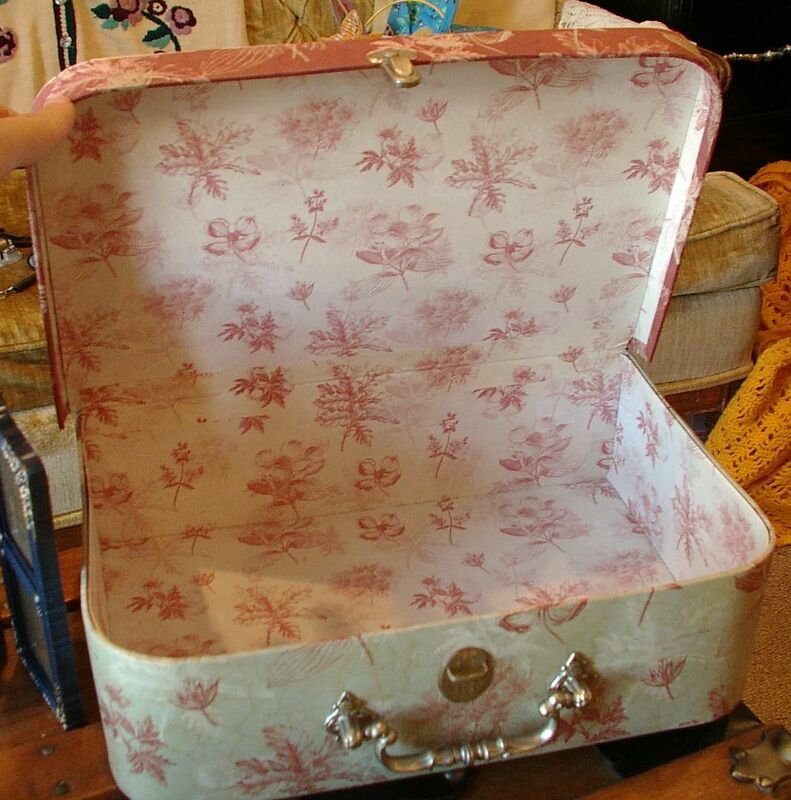 I love the suitcase thing! Beautiful! WOW, Christmas in August!! We all should be so lucky to have grandmas like that, or be one! Enjoy! tell your grandma that I'm up for adoption. ::0) hee hee. what a lovely box of surprises she sent to you. .... as they say..one woman's junk is another's treasure. Talk about treasure! Maybe your dear Grandma will adopt us all!